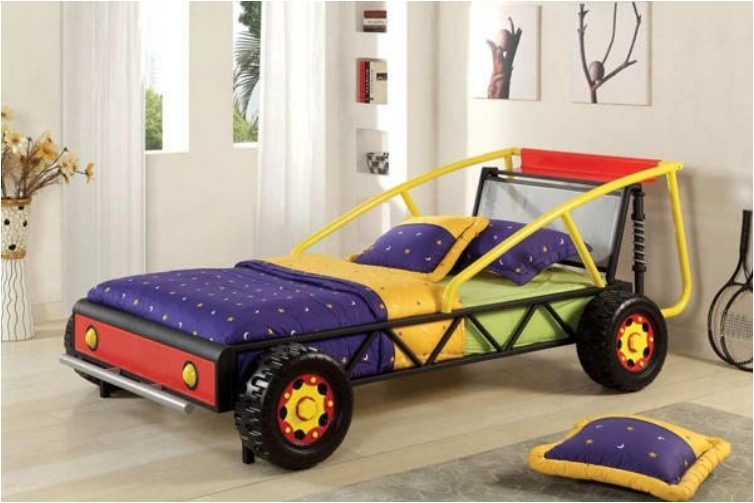 There have always been car beds. When I was little, I wanted one, but I never got one. 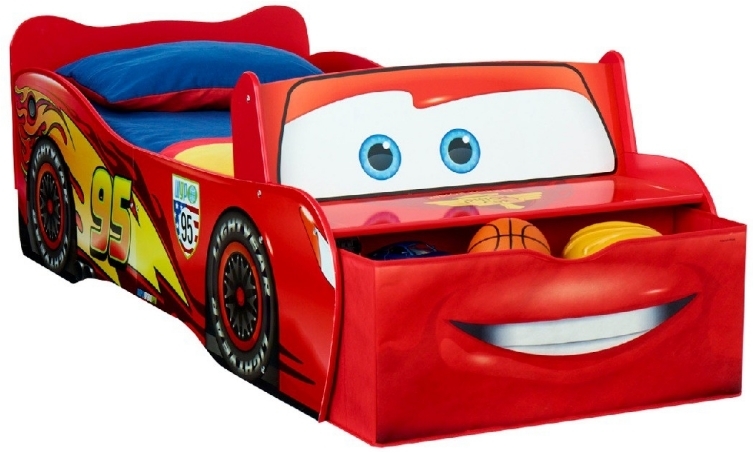 There was actually a time when car beds weren’t popular, but since the emergence of the Disney movie Cars, car beds became the IT bed in children’s rooms again. 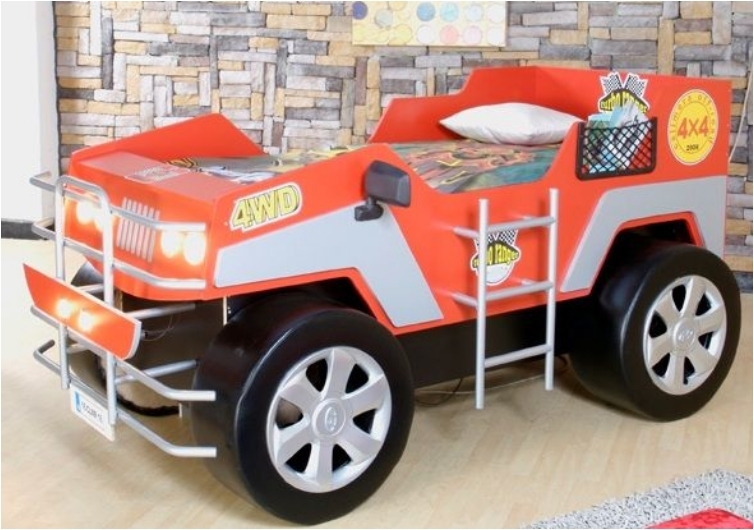 And the best part about a car bed is that your children will definitely want to go to bed. Gone are the days when you had problems putting your children to sleep. 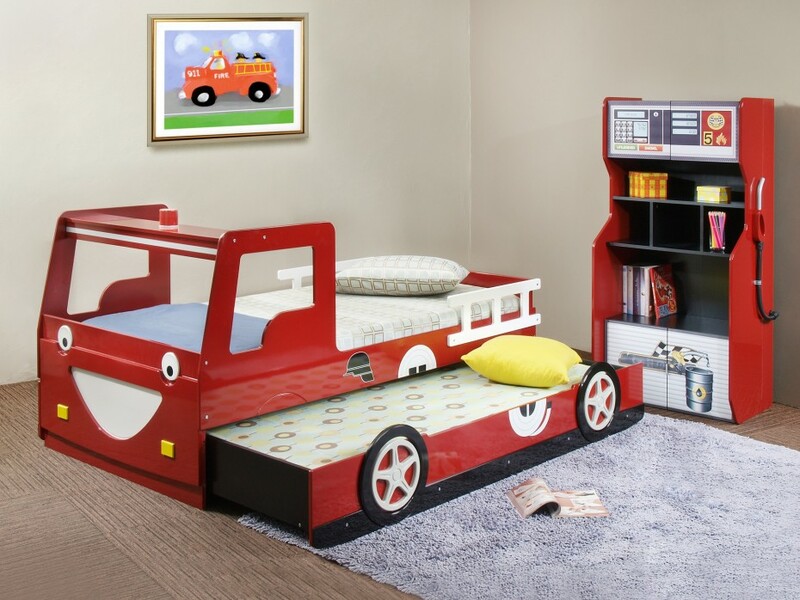 With a good car bed, you can do that in no time. 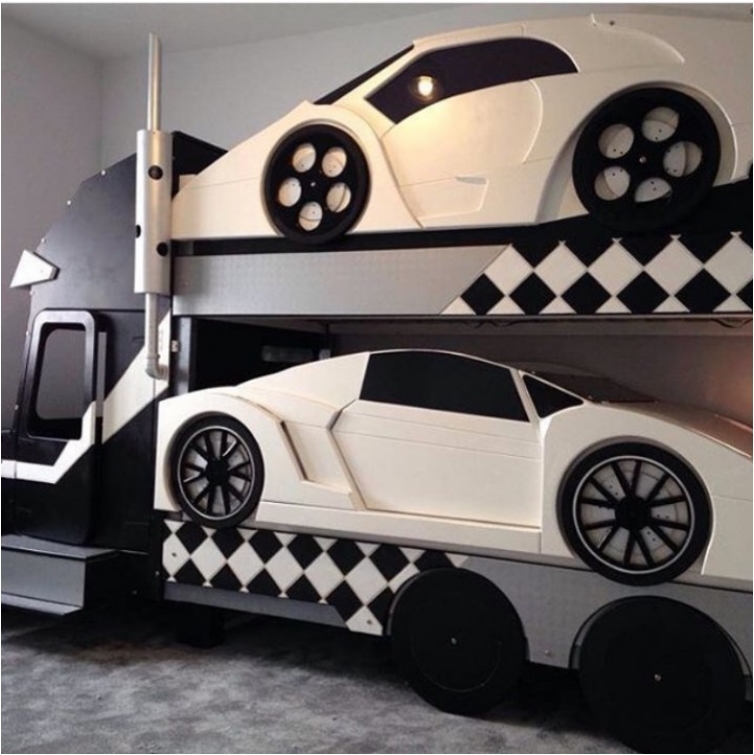 And if you thought car beds were designed just for boys, think again. Here are some great examples. It’s only appropriate that we start with the most famous car in the past few years. It’s been more than 10 years since McQueen debuted in the Disney movie. But it seems like his popularity will last for many more years. 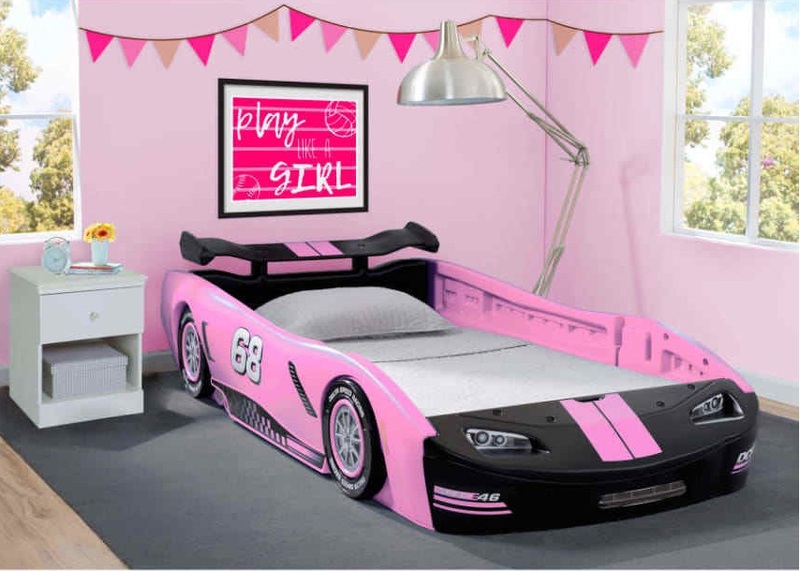 As I said at the beginning, boys are not the only ones who love a car bed—even a race car bed. For example, if you’ve seen Fast and Furious, you know there are some nasty girl racers too. 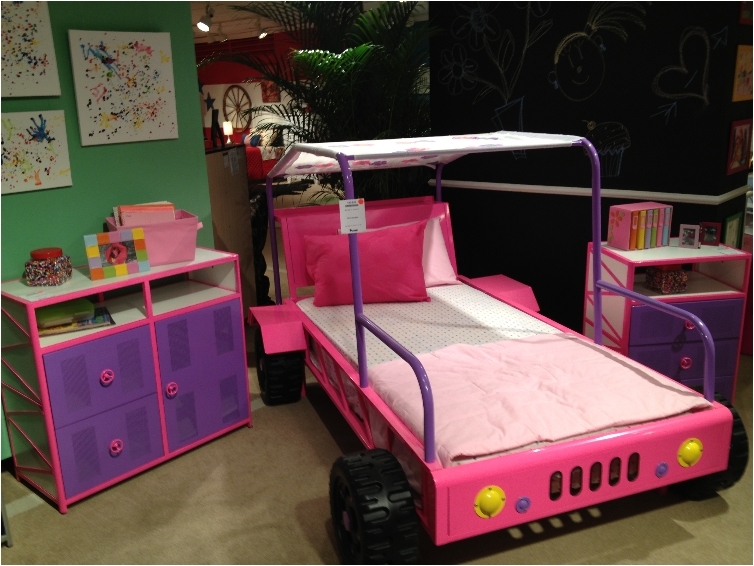 I bet they would love a car bed! 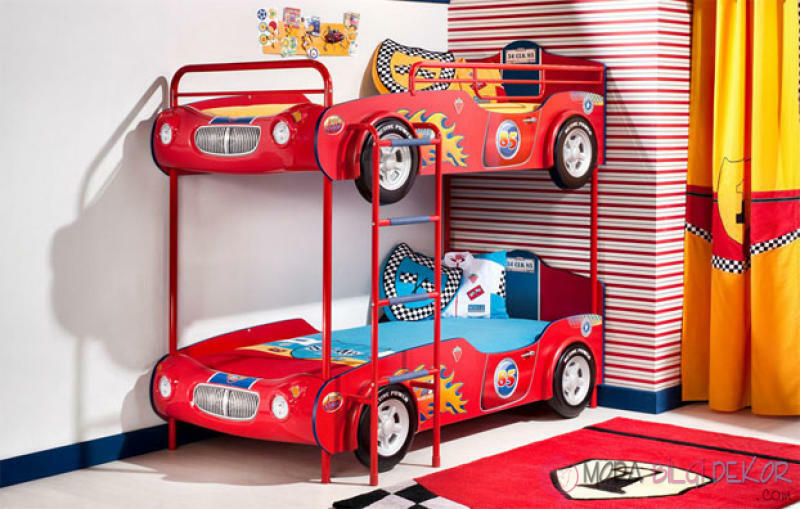 When it comes to children’s rooms, people usually opt for stereotypical male colors or female colors. But a neutral color can be a good option as well, like this sunny yellow. 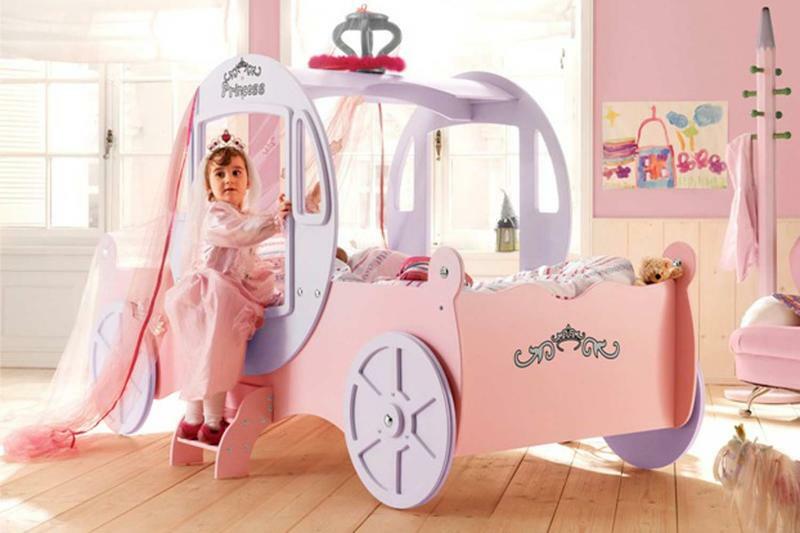 A little more princess-like, this car bed is more suited for girls who love romantic, girly stuff. 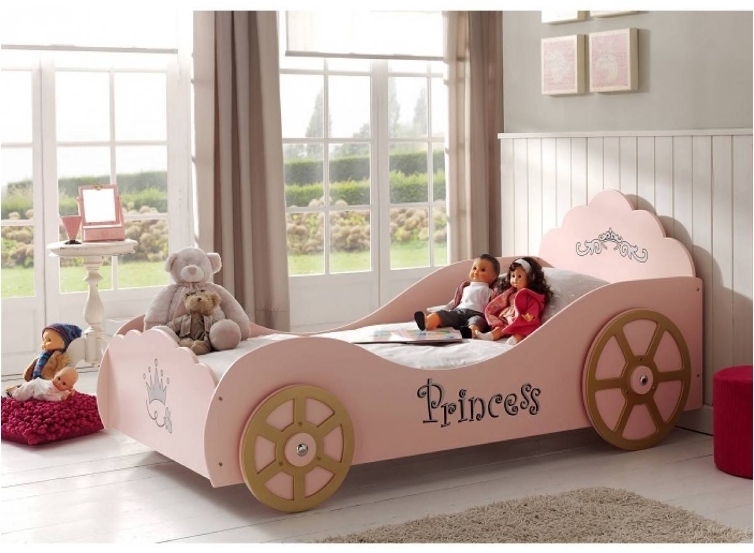 Your young daughter will love a car bed, and a princess car bed will often do the trick. Now here is a typical boy’s bed, but a little out of the ordinary. 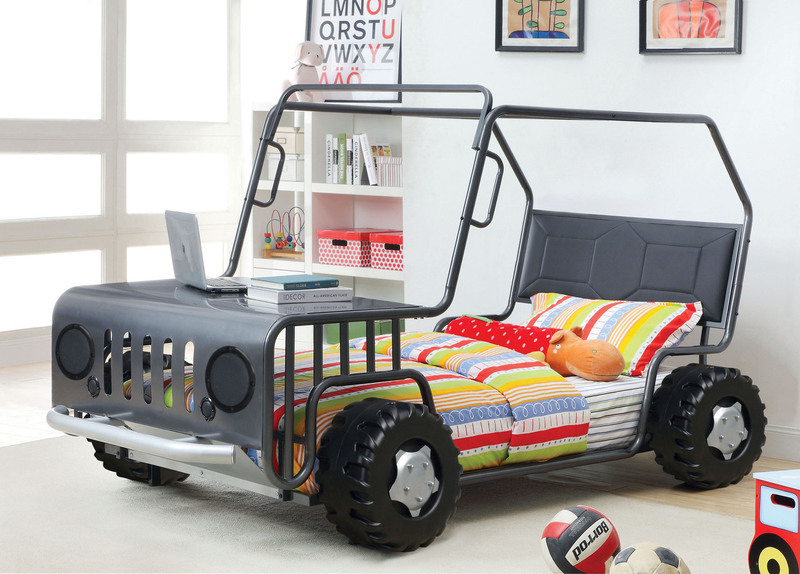 Don’t worry—your boy won’t become a farmer if you buy him a tractor bed (although there’s nothing wrong in being a farmer!). 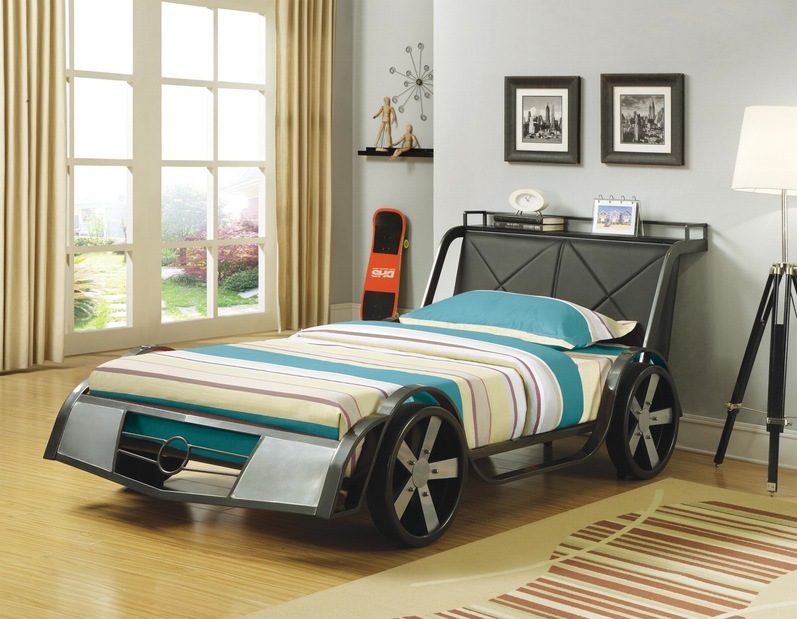 As for the bed, it looks more dominant and powerful than a standard car bed. 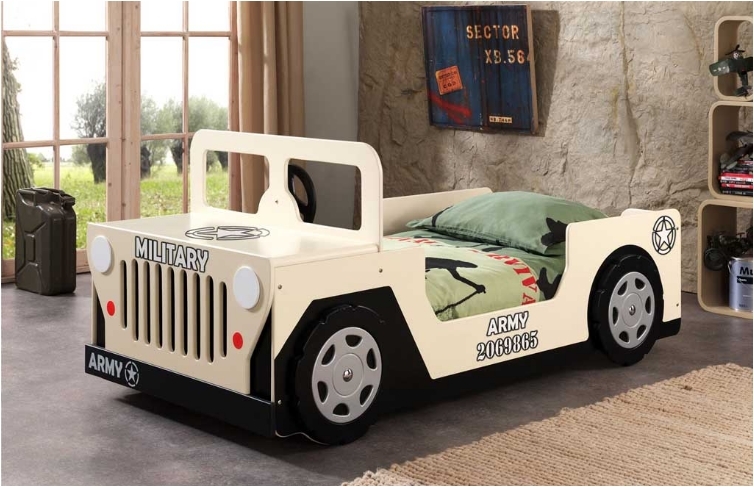 Another dominant and powerful bed is the American jeep bed. And while the army is typically associated with men, it can be a female bed as well. And you can’t dismiss the fact that it looks sleek and sophisticated. If you ask 10 boys what they want to be when they grow up, I’m certain one or two of them will say fireman. I never understood the appeal of the profession, but it’s a known fact that children want to be firemen. And that’s a good thing for our society—we need more people who want to help others in need. It was only a question of when we would have a princess bed on the list. It might be a bit bigger than standard beds, but this princess is grown up. Although she still needs her dolls right by her side. The best part about this bed is the colors. You instantly transform the room into a colorful kingdom of joy, entertainment, and happiness. 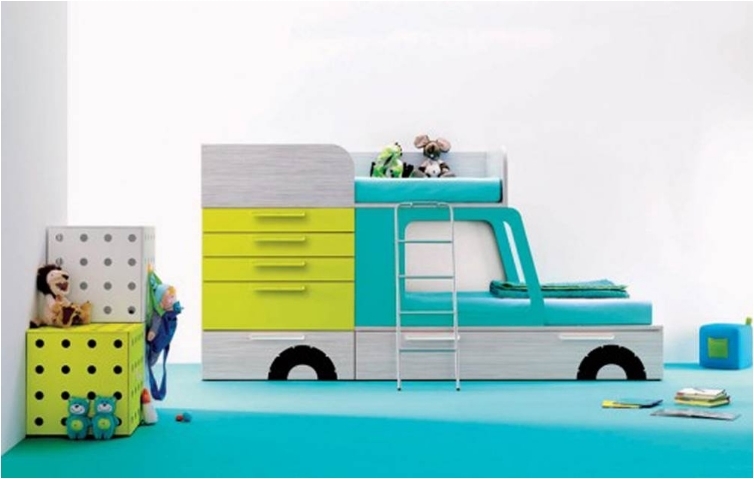 If the children’s room is painted in one color (white or cream, for example), this bed will make it look playful and interesting. 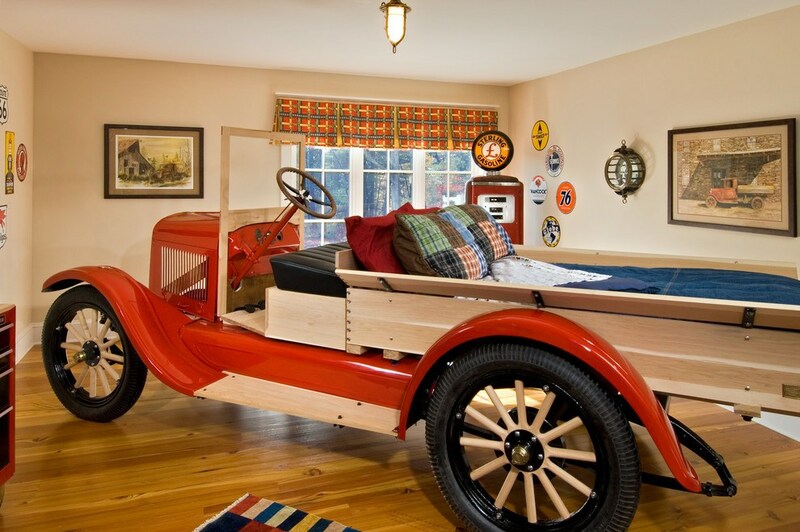 I would say this is more of a modern-style car bed, but hey, the manufacturer markets it as vintage. I wouldn’t mind sleeping in this bed even now. After all, it is a BMW. Who doesn’t want some German quality? Taking the princess way to the next level, we have a carriage, not a car. Princesses need someone to pull their carriage. And many girls dream of being Cinderella. 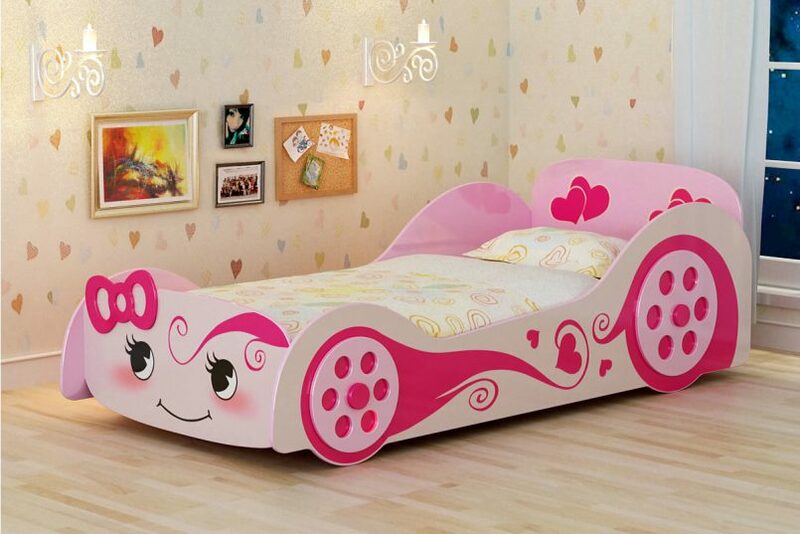 She is definitely one of the most popular Disney princesses, and your daughter deserves a bed fit for her. I am a single child, so I don’t know how it is to sleep with a brother or a sister as a child. 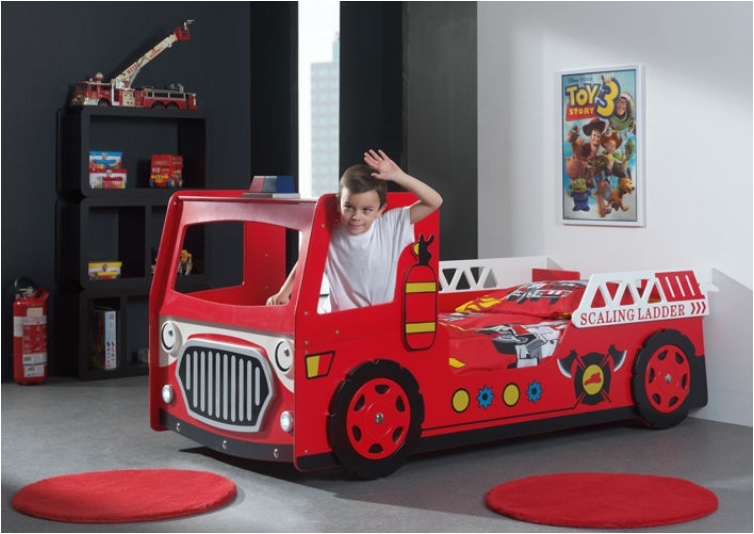 But I had a few sleepovers with friends, and I know we would have loved to play with this fire truck. Just think of all the possibilities and games you could play. Not many girls love an off-road car when they are little. But it’s a good thing that furniture companies give options. That way, even funky and cool girls who love something different and unconventional can have their dreams come true. 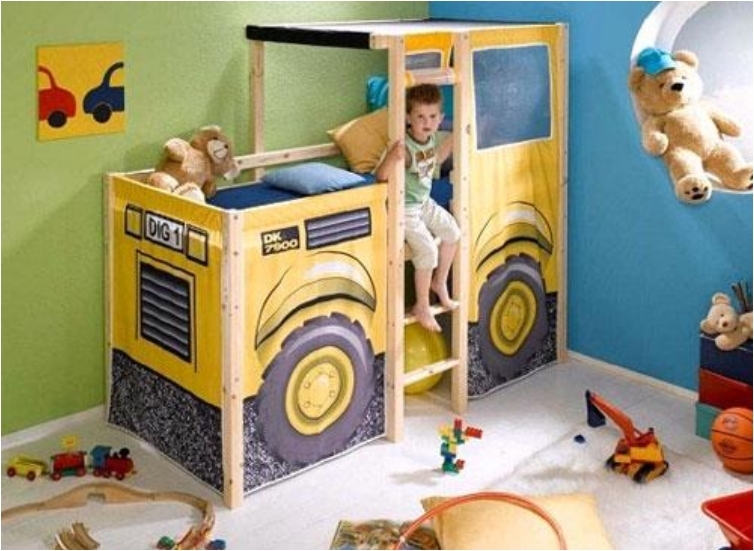 I can think of several friends of mine who would have loved a 4×4 bed when they were kids. These are the hyperactive kids—those who want to fight from time to time and show their power. Definitely a bed that shows a masculine side. One of the most famous buses in the world makes its way into the children’s room. 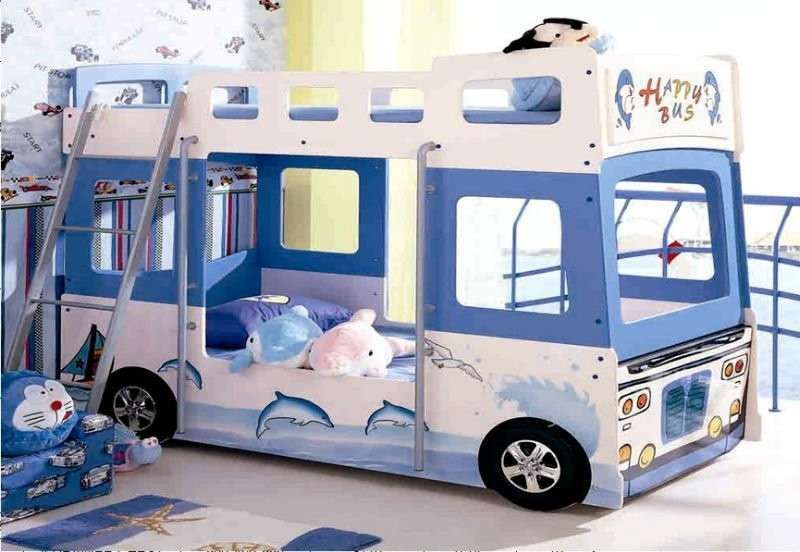 You just can’t have a car bed list without the British Double-Decker. 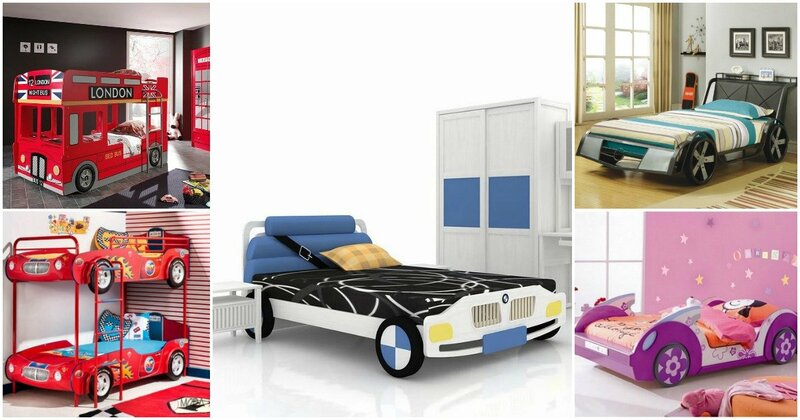 Whether you are a British or not, this bed brings flair to your home. When you have two boys (or twins), this is a bed that will come in handy. The best part is that both boys have the same bed, so there will be no fighting about who has the better bed. Yes, there will always be the question of who sleeps on top and who on bottom, but that’s about it. I love the “Play Like a Girl” sign. I’m definitely into independent and emancipated women, and there’s nothing better than a woman showing off her driving skills. Teach that to your girls when they’re young! 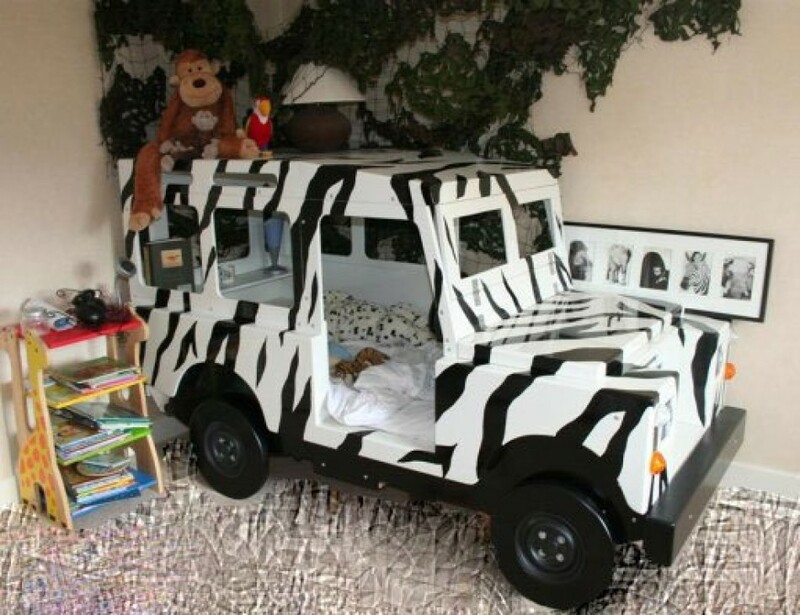 Throw some stuffed animals around the jeep, and you’ll have a complete safari look. You have the monkey and the parrot, but I would add a lion or a tiger as well. 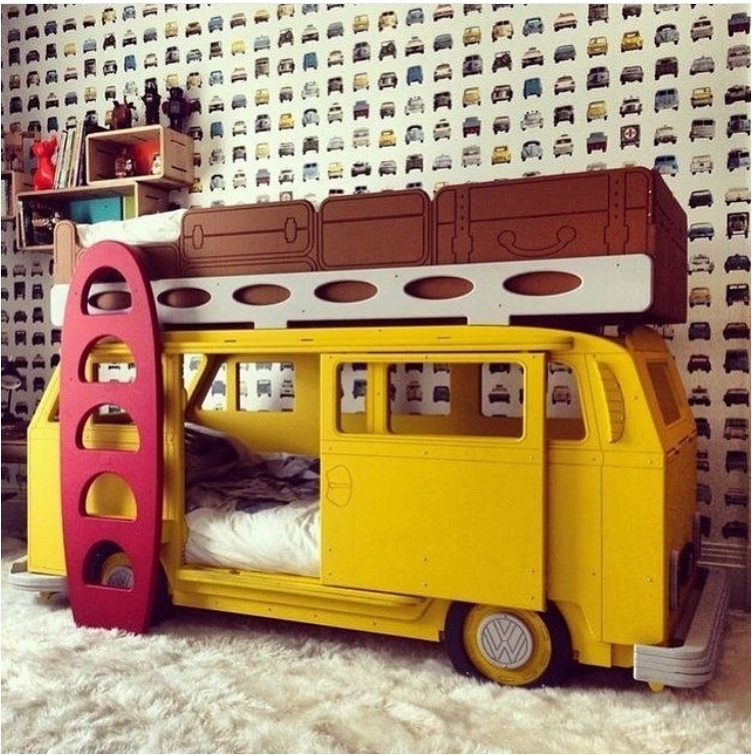 The Double-Decker is not the only bus you can have in the children’s room. A standard bus is also a good option. And with a design like this one, it makes the room look peaceful, calm, and joyful. Race cars will always be at the top of a child’s list. 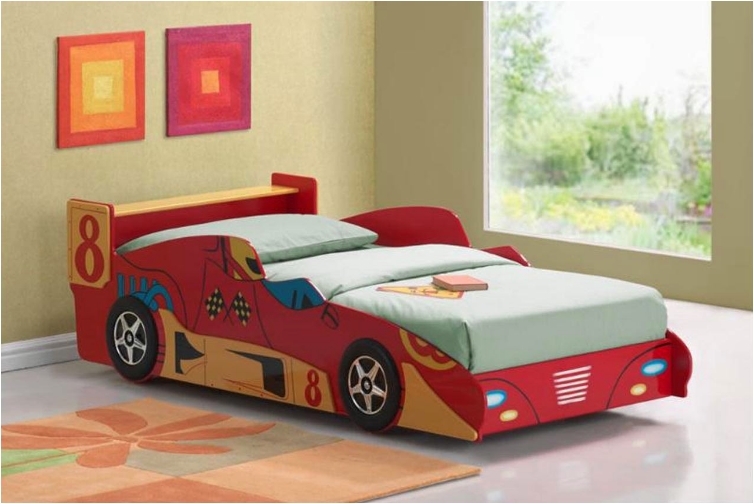 If your child wants a car bed, in 8 out of 10 cases he/she wants a race car bed. So that’s why I wanted to give you several different choices to look at. To be honest, when you think of Wrangler, you probably think of boys. But as I said, sometimes girls want boyish things. And sometimes boys want girly things. There is nothing wrong in either case, as long as your child is happy. Red is synonymous with sports cars. After all, red symbolizes speed and power. Think of The Flash—his suit is red. 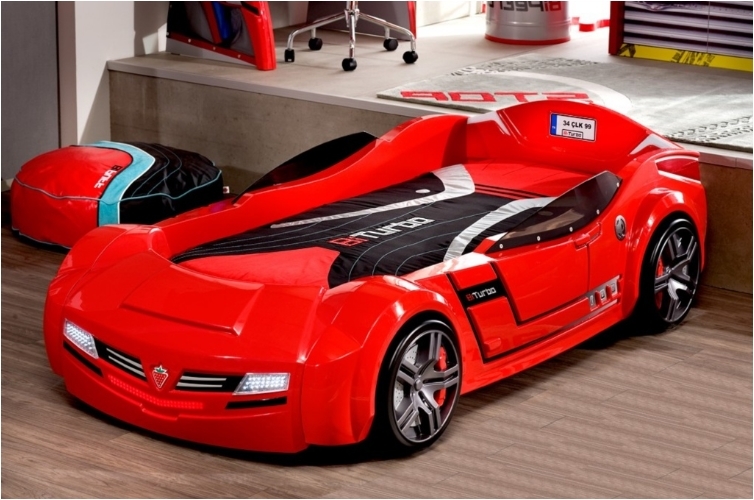 This is one of the coolest-looking race car beds, and it’s only appropriate that it’s red. 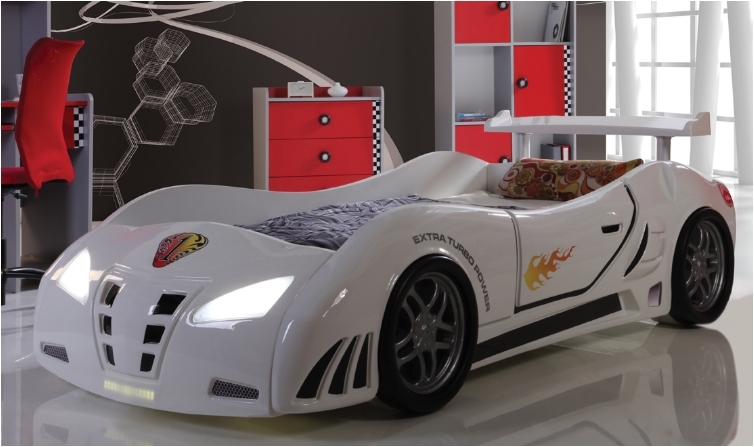 Some children want something simple and elegant, which is exactly what you get with this race car bed. It’s still a car bed, just a bit unconventional. We have another Wrangler on the list. Only this time, it’s not a girly car. 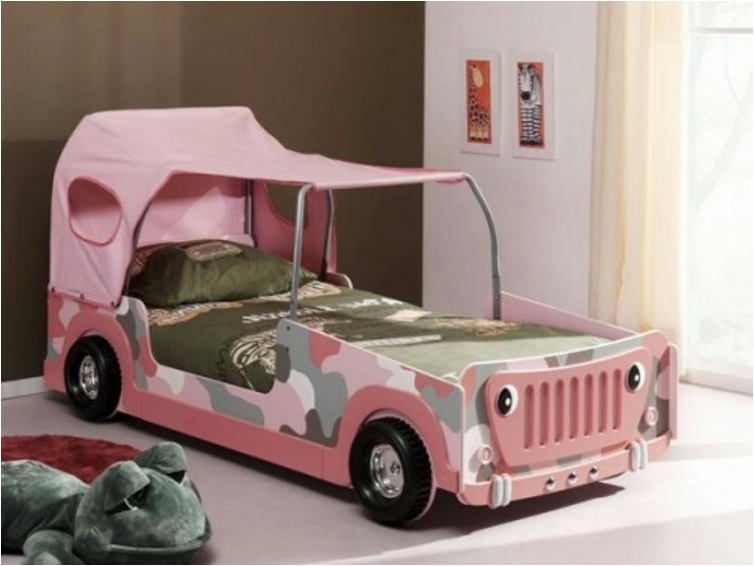 The sheets are perfectly matched to the grayish look of the jeep, adding color and flair to the room. I’m sure your children don’t remember the hippie era. For those of you who do remember, the VW bus was the synonym for hippie. I wasn’t born then, but I definitely wish I was alive during that time. Music was the best back in the 70s! OMG. 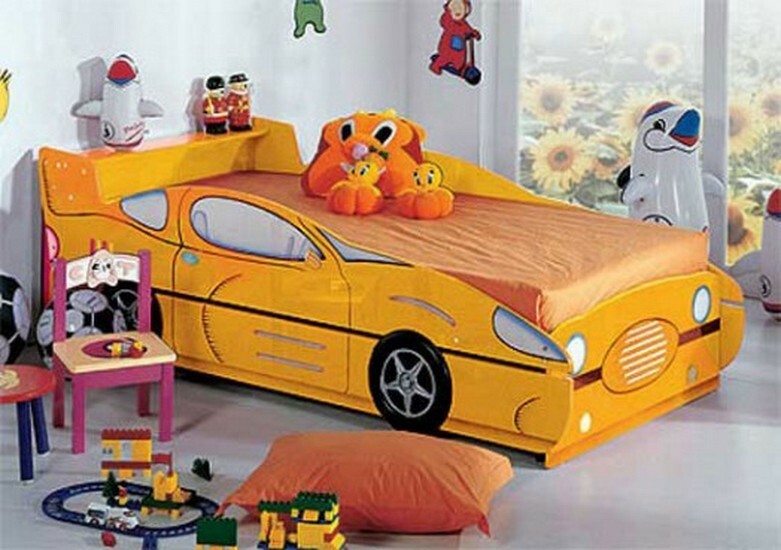 That’s all that I can say about this car bed. They weren’t making such cool beds when I was a child. I sure wish I had this bed back then. A sports car that looks like it was taken from the Transformers movie. That’s definitely what most kids want these days, and this car delivers. To be honest, I’m not a fan of the closed concept for beds. 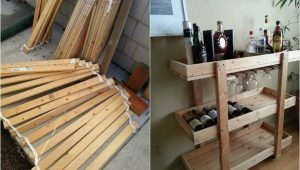 But it’s definitely practical to have some drawers, and you can save a lot of space by adding storage units to the bed. Race car x 2. Furniture companies have had to come up with this design for parents with more than one child. 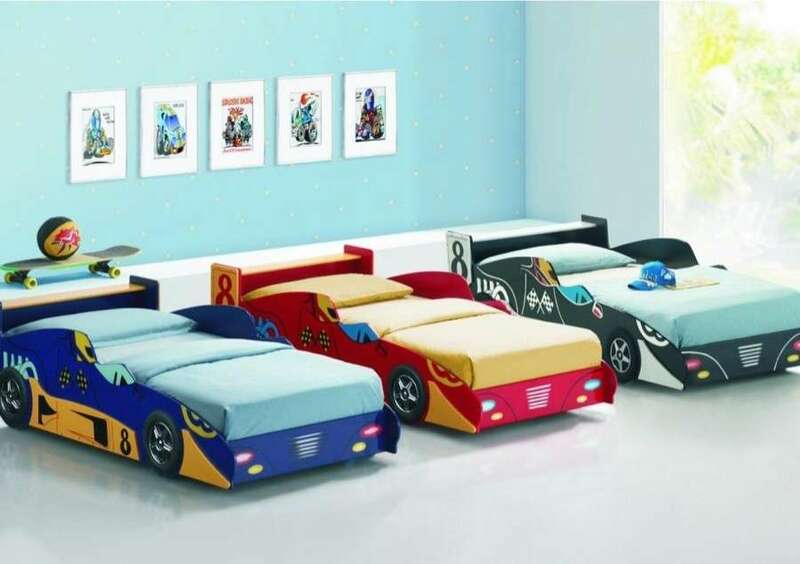 And when two of them are boys, both love a race car bed. 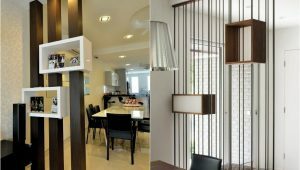 This design saves space and a lot of wear and tear on the parents. The front part of the car looks nasty and scary (but in a good way). Just look at it—you think the car will attack you at any second! 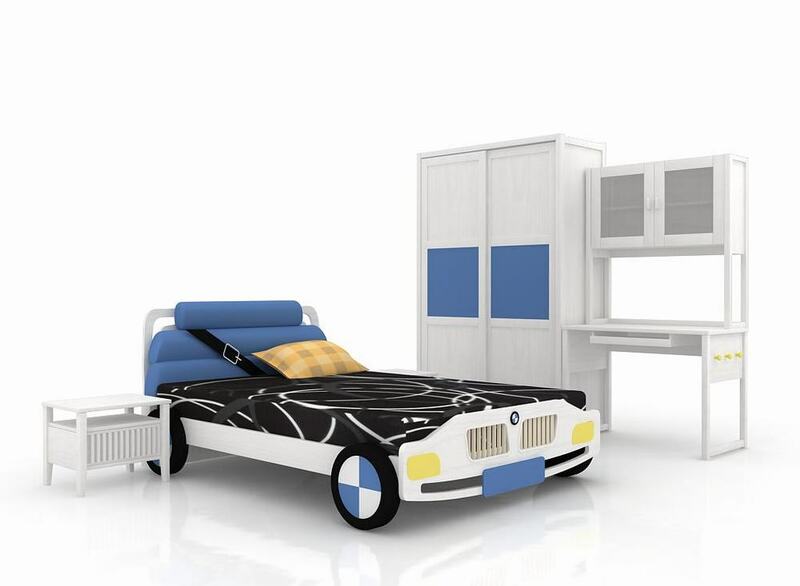 We finish with the most popular design for beds: a sports car. 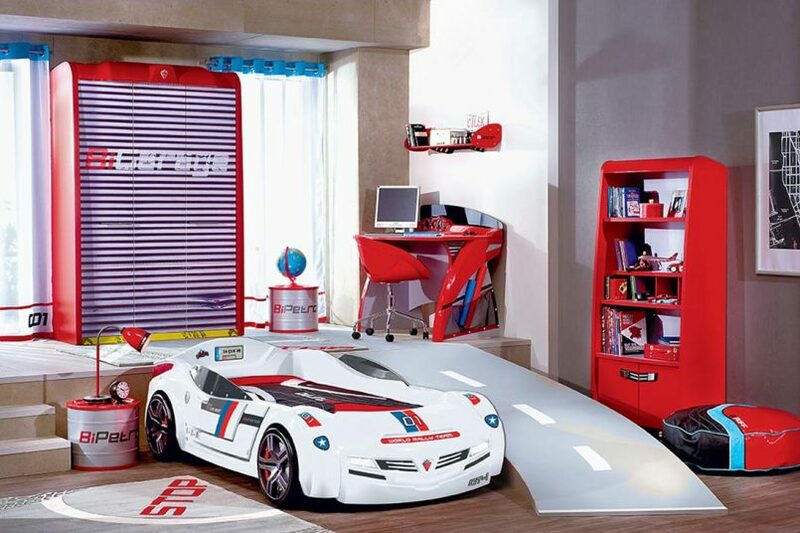 But we take things to the next level, as you have an entire room designed around a sports car. I hope you found an idea you can use. 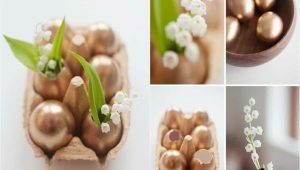 Whether you have children now, or you are thinking about having some in the near future, it’s nice to know about their bed options.